First in a long list of DC Comics television shows making their debut/return this fall, Gotham has arrived on FOX. I have to be honest, I have been a little skeptical of this show since it was announced because the idea of a Batman show without the Batman seemed less than thrilling. But after watching the pilot episode, I was shown how very wrong I was. From a film maker’s point of view, it must be really hard to shoot a very iconic scene and still make it original. Most times, the audience sees the event through the eyes of Bruce. But in this iteration, the scene plays out through multiple people’s perspectives. First, a pick-pocketing girl (Selina Kyle, aka Catwoman…or… Catgirl?) witnesses the event while she hides out of sight. Next, the audience sees the crime through the perspective of the mugger as he menacingly demands the money and pearls before ultimately killing the Mr. and Mrs. Wayne. 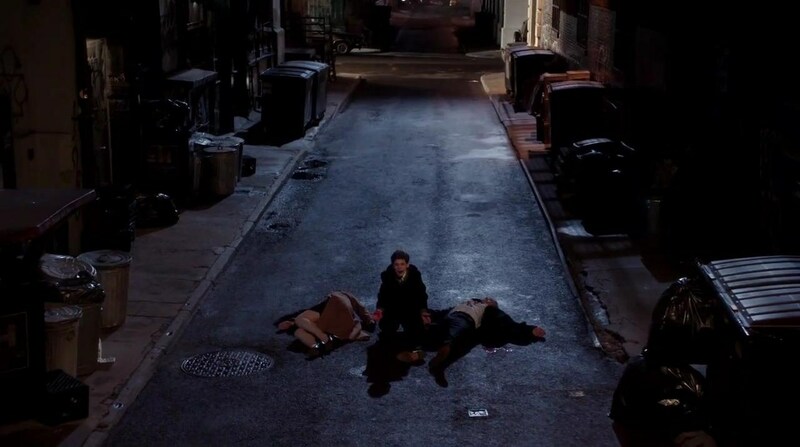 Finally, the camera shifts to Bruce after his parents are shot, and the first person shot down the barrel of the mugger’s gun puts the audience right into Bruce’s shoes. This different approach makes sense in a way because this show is not about Bruce Wayne. As the title implies, Gotham is about everyone in Gotham City. This begs the question, “Why do people like Batman so much?” Maybe because he’s rich, has all the cool gadgets, knows all the martial arts he needs to beat up the bad guys, knows just about everything, etc. To top it all off, he is a human, and he is downright terrifying. There is nothing magical or super about him. He is just a regular guy with a ton of training and deep pockets. All of these are good reasons to like the Batman, but it’s not enough to have a well-developed hero. So again, why Batman? Just some of Batman’s rogue gallery. The villains. 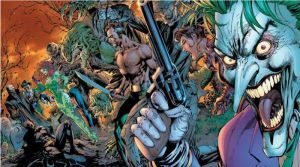 Having some of the most unique and most notable villains in all of comics, Batman’s rogue gallery is the very essence of the comic super-villain. Many say they could make a whole movie or tv show on the Batman villains. Well, here it is. The protagonist of the show is young Detective Jim Gordon (Ben McKenzie) who comes off as strong-spirited yet naive rookie who is in Gotham for the action. Harvey Bullock (Donal Logue) is Gordon’s partner/mentor as well as a corrupt drunk who is living for himself. On many occasions, Bullock refers to Gordon as “Soldierboy” which both further points out Gordon as a hot head as well as alluding to Gordon’s past in the military. Though Gordon is the protagonist, I would argue the main character(s) are the villains. 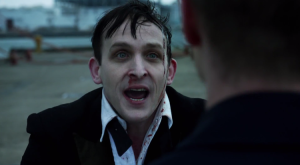 For Season 1, it appears Oswald Cobblepot, aka the Penguin, will be the main character (Robin Lord Taylor). He starts out the show working for a villain orignal to the show, Fish Mooney (Jada Pinkett Smith). Throughout this episode, they keep calling him Penguin again and again as if to make sure the audience catches that he is the Penguin. Fish Mooney’s name might not be so original to me because the name is blatantly ironic. For one, the phrase “there’s always a bigger fish” comes to mind. For another, penguins, including the Penguin, eat fish. Ok, maybe the show lacks some subtlety. Other villain easter eggs include Edward Nigma (the Riddler) and young Ivy (Poison Ivy). Naturally, this pre-Batman period will be focusing on the realistic organized crime. 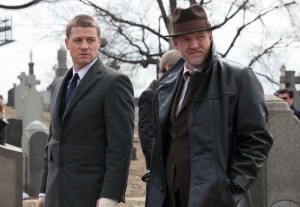 One notable inclusion is Carmine Falcone, the man who essentially runs the organized crime in Gotham. His character will be playing a key role throughout this series. One of my favorite things about this show are the exquisite shots of the city and locations. As a fan of the Batman: Arkham video game franchise and the Batman comics, I enjoyed seeing the different Gothic sets and the authenticity of the setting, including the Wayne Manor. With the show filming in New York, this might be the most authentic looking Gotham City to date. The shot of the humongous graveyard stretching out all the way to the city was breathtaking, and it took me a moment to realize that what looked like more graves in the distance were actually the skyscrapers of Gotham. It is as if to say there is no separation, both figuratively and literally, between Gotham and the grave. This adaptation reverses these characters’ roles with Bullock as a type of mentor and Gordon as the rookie. As one of the most popular tv show categories in America, this crime drama is sure to give the genre a good impact. I enjoyed the show quite a bit (even though there was no Batman). I don’t really understand how Selina Kyle manages to be everywhere the main characters are, but I am all for the suspension of disbelief. The show is shot in an incredible location which really makes you feel like it is in fact Gotham City. The show may not be subtle with its name-drops and easter eggs, but Gotham has a lot to offer. It is definitely worth watching.